Malu 'Aina » Blog Archive » More military training on Hawaii Island for wars of aggression: Speak OUT! More military training on Hawaii Island for wars of aggression: Speak OUT! Published by jalbertini on July 25th, 2011 in Hawaii Independence, Military, Public Events, Radiation, Social Justice, Take Action!. “…no significant direct, indirect, or cumulative impacts on natural resources…” !!! WHO SAYS? 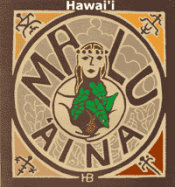 The people, plants, animals, the aina, air, water, etc. are all interconnected. What effects one effects all. The impacts are not just physical, but cultural, psychological, and spiritual. The training proposed is all part of U.S. occupation and what the Nuremberg trials following WWII called the Supreme War crime –waging a war of aggression. We want to stop all these illegal wars. We do not want the U.S. training anywhere to do to others what the U.S. has already done to Hawaii: overthrow and occupy its government and nation, desecrate its sacred sites, and contaminate its air, land, water, people, plants, and animals with a wide range of military toxins. We want the U.S. to stop bombing Hawaii and clean up its opala (rubbish). Justice demands an end to U.S. occupation and the restoration of the Hawaii nation. And all of this being done on the slopes of the Sacred Mountains. Akua weeps. > Status: Anticipated Finding of No Significant Impact. > 30-day comment period begins; comments are due on August 21, 2011. > The proposed action is to provide 90 helicopter pilots and crew 180 hours of high altitude training in October 2011 in preparation for deployment to Afghanistan to satisfy mandatory annual training requirements. The Army’s preferred alternative consists of flying to, hovering, and touch and go landings at three (3) landing zones (LZs) located on the slopes of Mauna Kea and three (3) LZs located on the slopes of Mauna Loa. Aircraft landing in the LZs would not be picking up or dropping off troops or supplies. Aircraft will be spending a minimal amount of time in the LZ areas, and ground time should not exceed 10 minutes per landing. > Familiarity with this specialized high altitude environment is critical to save the lives of our 25th Combat Aviation Brigade aircrews and the Soldiers they transport when operating in support of Operation Enduring Freedom in Afghanistan. Based on careful review of the analysis and conservation measures set forth in the EA and consideration of public comments received to date, implementing the Preferred Alternative would result in no significant direct, indirect, or cumulative impacts on natural resources, cultural resources, water resources, recreational resources and other resources assessed in the EA. Implementing the Preferred Alternative is not a major federal or state action that would significantly impact the quality of the environment.